It seems there’s a plethora of new development boards coming onto the market at the moment, all very well priced and an absolute boon to makers and tinkerers. 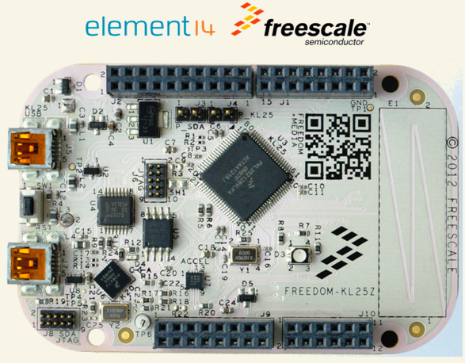 The latest to be released is the new ARM Cortex-M0+ (32bit) from Freescale at only $13! This entry was posted in Boards, Kinetis, KL25Z Freedom Board by Erich Styger. Bookmark the permalink.